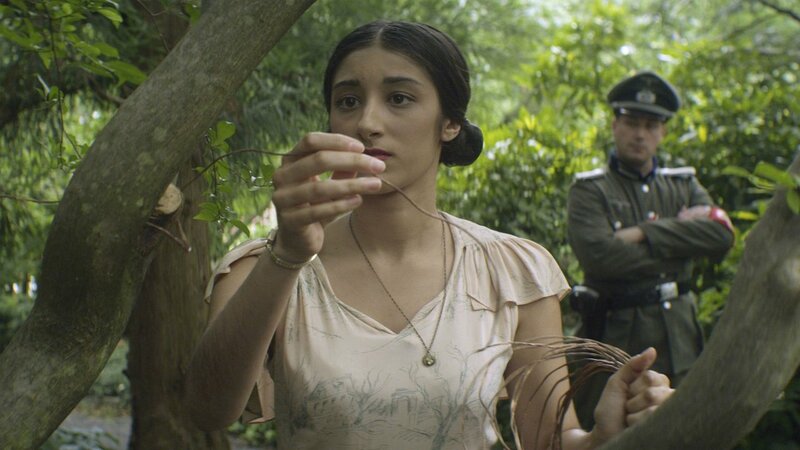 Enemy of the Reich: The Noor Inayat Khan Story premiered September 2014. Witness a British agent’s extraordinary courage, tested in Nazi-occupied Paris. In August 1943, the last surviving clandestine radio operator in Paris desperately signaled London for additional weapons and explosives for the French underground. She knew her time was limited. Within a month, she too would be taken. Enemy of the Reich: The Noor Inayat Khan Story is the story of one woman’s extraordinary courage, tested in the crucible of Nazi-occupied Paris. With an American mother and Indian Muslim father, Noor Inayat Khan was an extremely unusual British agent, and her life spent growing up in a Sufi center of learning in Paris seemed an unlikely preparation for the dangerous work to come. Yet it was in this place of universal peace and contemplation that her remarkable courage was forged. In 1940, when the Nazis invaded of France, Noor fled Paris with her family to England, where she trained as a wireless operator in Britain’s Women’s Auxiliary Air Force. In early 1943, she was recruited as a covert operative, into Winston Churchill's Special Operations Executive (S.O.E). Churchill’s orders were to “Set Europe ablaze” through sabotage of railroads and factories, and support of the French underground’s direct attacks on Nazi units in preparation for the D-Day invasions. After the betrayal and arrest of her entire network, Noor became the only surviving radio operator linking the British to the French Resistance in Paris, coordinating the air-drop of weapons, explosives and agents, and supporting the rescue of downed allied fliers. The life expectancy of a radio operator in Paris was only six weeks before the Nazi radio-hunting trucks would track them down. But Noor survived four months, constantly on the move, before she was finally betrayed by French a collaborator. She resisted a brutal interrogation by the Gestapo, escaping twice—only to be recaptured. For her intransigence, Noor was sent to Germany where she was executed at Dachau. It is a story not only about the drama of fighting the Nazis—the brutality of the Gestapo, deception, betrayal and escape—but also about the deep moral imperative that defined this young woman throughout her struggle. Noor Inayat Khan became one of the most decorated agents of the British S.O.E. After the war she was posthumously the awarded the George Cross, the highest civilian medal given for bravery and sacrifice in Great Britain. The French awarded her the Croix de Guerre with Gold Star. A plaque in her name hangs at Dachau today. In 2013, a memorial statue was erected in London’s Gordon Square. was produced by the Unity Productions Foundation.